The water temperature of brewing longjing tea is about 75 to 85 Celsius degrees water.Don’t use 100 ℃ in the boiling water, because of longjing tea is not fermented tea, so tea itself is very tender.If you use too hot water to brew, the tea will be rolled out, and the bitter taste will be washed out, affecting the taste. But how do you control the water temperature? We certainly don’t take a thermometer, so the best thing is to pour the boiling water into another cup and then pour it into the glass, so that the water temperature can be easily controlled. The brewing method of longjing tea still has a bit to bear in mind. It is to want gao chong, low pour. Because the high impact can increase the water column contact air area, make the cooling effect more efficient. As for the quantity of water, it is enough to cover the tea cup. The time of brewing is to increase with the number of brewing. Generally speaking, the water temperature of the tea is positively correlated with the solubility of the effective substance in the tea. The higher the water temperature, the greater the solubility and the stronger the tea soup. On the contrary, the lower the water temperature, the smaller the solubility, the more dilute the tea soup. The average of 60 Celsius degrees cups of warm water is the equivalent of 45 to 65 percent of the boiling water. In addition, drinking longjing tea should also be careful not to wait for the water to full consumed, the first cup of tea to drink to 2/3, then you should add water to drink the second cup, so that the tea soup concentration can be basically consistent. 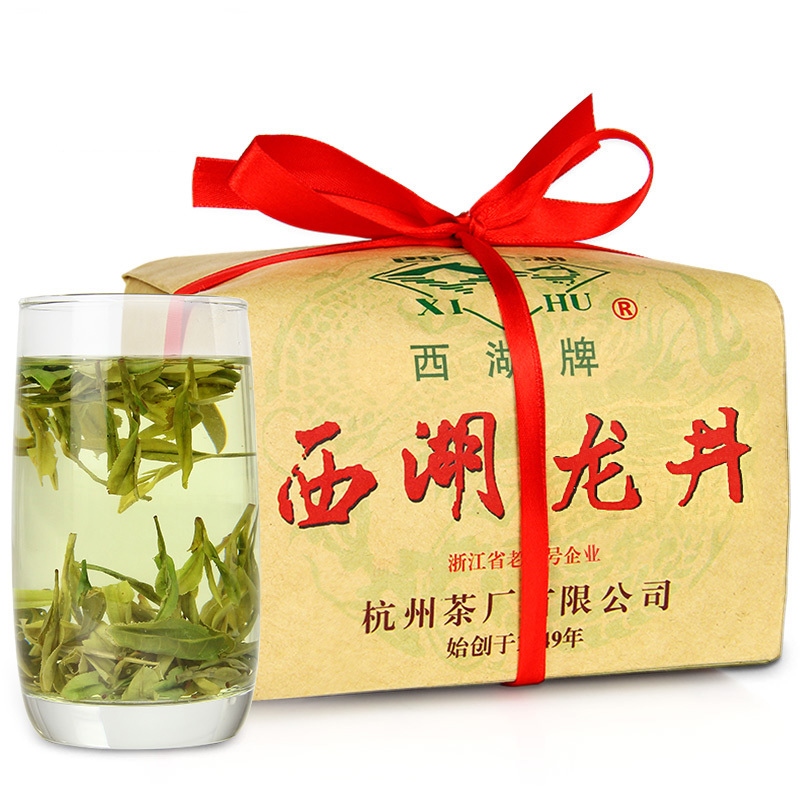 Taste longjing tea generally with glass, add boiling water about 85 ° C. The ratio of tea to water is appropriate, usually 1:50 (one gram of tea is 50 ml of water). When brewing, pour 1/3 of the water into the cup and soak until the tea leaves light and clear, then pour water on the side of the cup until it is full.The tea is light and mild, fresh and green. Do not use boiling water to brew longjing, it will destroy the chlorophyll in tea, make it yellow. Tea polyphenols can also be oxidized at high temperature to turn the tea soup yellow. Many aromatic substances are volatile at high temperatures, reducing the aroma of tea. In addition, the dragon’s west lake longjing also reminds us that we should not drink tea when we have a fever and seafood. And calcium tablets should not drink tea, easy to get kidney stones. dragon well tea brewing, longjing tea brewing. Bookmark.